A recent trip to Detroit was surprisingly enjoyable. Having never been to Detroit, I assumed it was a land of smoky factories. I'm sure there are plenty of smoking factories, but I found myself walking along a beautiful waterfront, overlooking Canada. 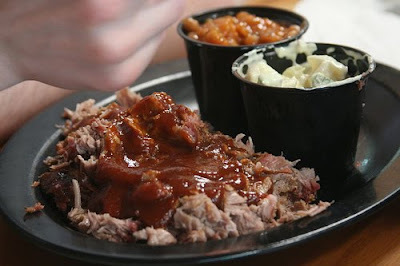 Slows Bar-B-Q was the stop for dinner and even this Texas girl was impressed. I ordered the pulled pork. True to it's name, it came as a pile of pulled pork. That's it. Served on a huge plate. Hello delicious. 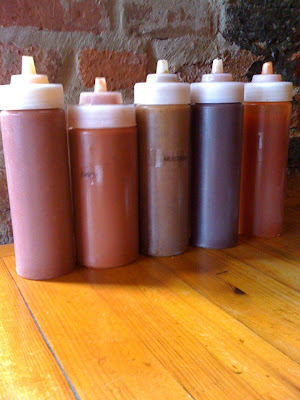 Niman Ranch provides all of Slows' meats. Niman Ranch is a network of independent farmers and ranchers committed to sustainable and humane agricultural methods. The macaroni and cheese were like creamy shells of heaven. (imagine creamy shells of heaven.) And the array of sauces on the table, could please anyone. 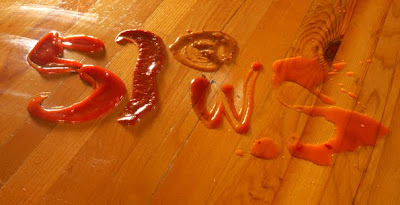 Apple flavored sauce, ridiculously hot sauce, nice medium bar-b-q sauce. I smothered my plate. 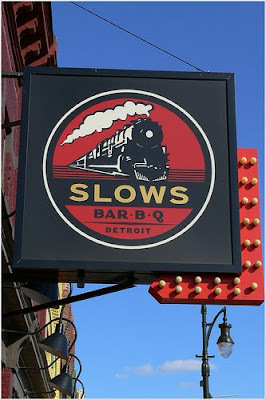 If life's adventures take you to Detroit, plan a quick, delicious stop at Slows.